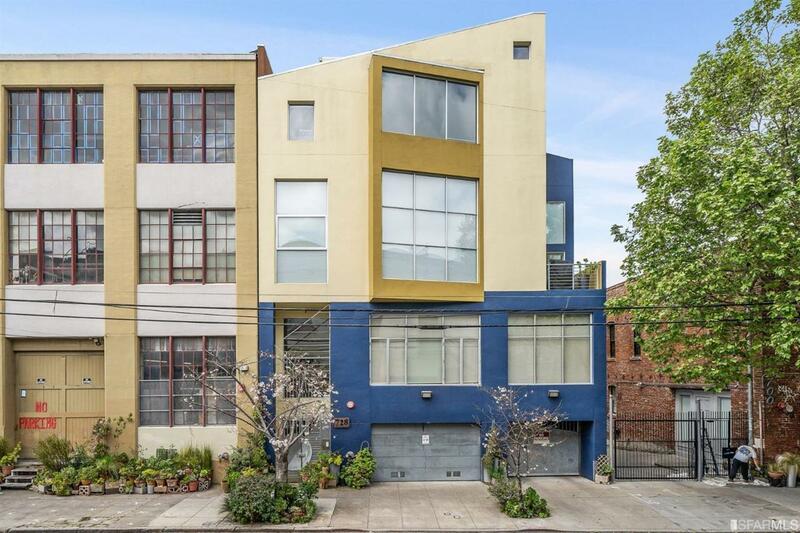 Welcome to 728 Alabama #205, in one of the 'true' artist live/work loft buildings built in 1995 in the Inner Mission, centrally located in one of the most dynamic, most culturally and historically rich neighborhoods in the City. As you walk into the space, you are greeted by a feeling of expanse and serenity. It just experienced a fresh makeover with an urban chic, industrial feel. The wall of glass windows allow an abundance of natural light to shine in. The 17' ceilings and new chandelier in the living area creates a free-flowing vibe, perfect for entertaining. The kitchen has a newer remodel, half bath on main level, a defined dining area, & cozy private patio. Up the spiral staircase is an airy loft overlooking the expansive living area and partial skylines of the City. A full bath, walk-in closet on each side, & functional windows span both levels. Walking distance to some of the most vibrant hotspots! Listing provided courtesy of Debra Lee of Aethos Real Estate.